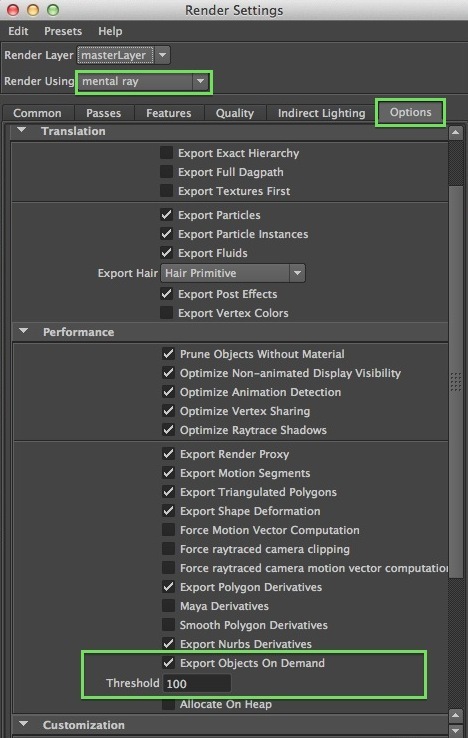 In Maya, the facesets are assigned with material names. Our abcimport shader now uses this information to reference materials with these names. Facesets can be either triangle or polygon mesh. (Facesets for subdivision surfaces will be added later.) 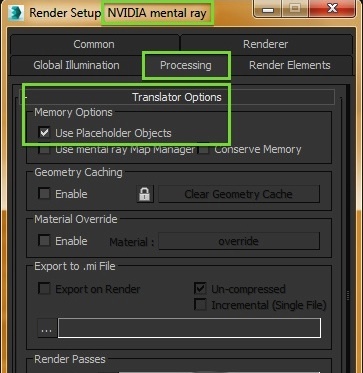 Faceset translation is enabled by default and can be turned off by setting the shader parameter “facesetmaterials” to off. Triangle meshes now can reference user data such as color3, color4, point, normal, float, integer. The user data must be attached as “arbitrary geometry parameter property” to objects in the abc file. Please, contact us for more details. 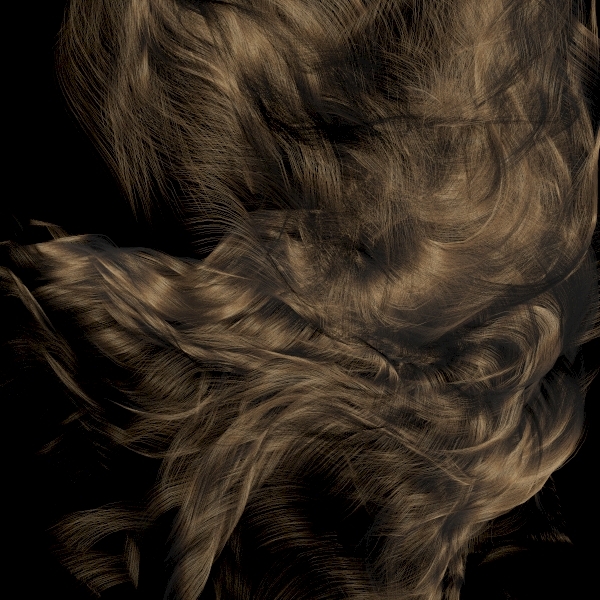 The “subdivision” parameter is now also applied to hair, NURBS trim curves, NURBS, and subdivision surfaces. Motion blur for topology changing abc files is now possible. We fixed an issue with the velocities in Alembic which were not interpreted correctly. 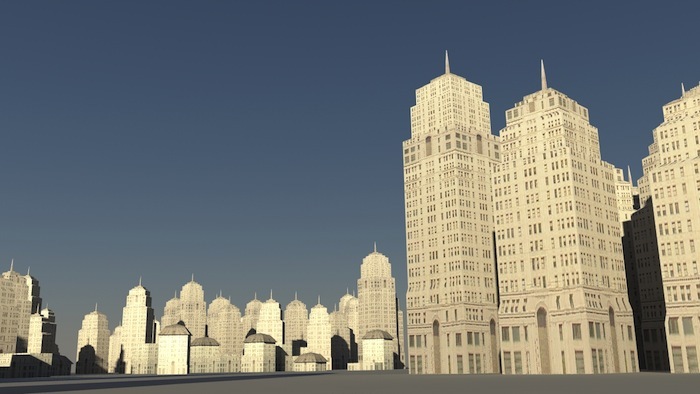 These features will be incorporated into the upcoming versions of mental ray this year. This is the first post of a new category: NVIDIA mental ray – In the Lab. 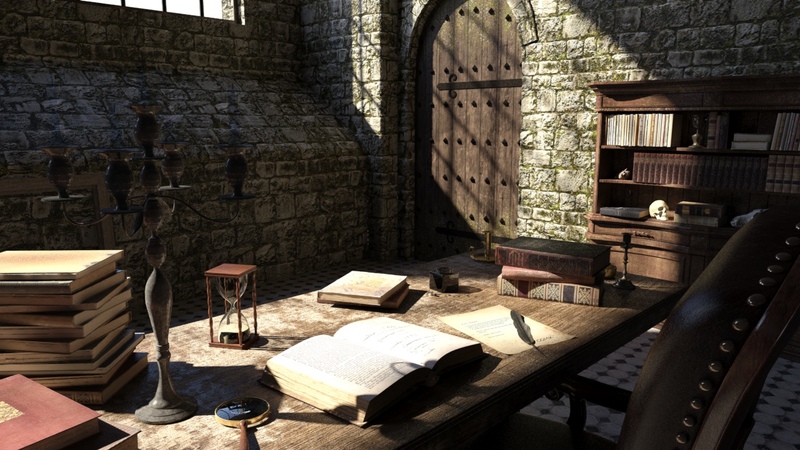 We want to give peeks into research projects and features we are working on for future versions of mental ray. Here we like to talk about our GPU accelerated Ambient Occlusion solution, in short: AO GPU. The video demonstrates three new features of AO GPU: Progressive Rendering, High Quality Anti-Aliasing and Object Instancing. It was generated using a standalone test application, using a NVIDIA Quadro K6000 GPU. Previously, AO GPU used a sampling mode optimized for batch rendering. This sampling scheme, based on Fibonacci numbers, converges very fast and efficiently to good results. The caveat is that you have to know the number of samples in advance, plus there are only certain sample numbers you are allowed to use (1, 2, 3, 5, 8, 13, …). If you stop rendering ‘in-between’, the image will look wrong. Now, sometimes you are not sure how many samples are needed to achieve the desired quality. The usual solution is to perform progressive rendering, which means watching intermediate rendering results and stop the render process when quality is good enough. As you can see in the video, Fibonacci sampling is not suited for progressive rendering, intermediate images show strange wobbling shadow effects (we moved the camera to trigger a re-rendering in the application). Switching to our new progressive sampling scheme fixes the wobbling artifacts, you just see the noise disappearing over time. This progressive sampling scheme does not converge as fast but it is well suited for ‘time-constrained’ situations, where you want to stop rendering after a certain time limit, and you are not sure what the best sample count setting would be. The existing AO GPU solution used a very simple anti-aliasing scheme to filter pixel jaggies at geometric edges. Essentially, this filtering was constrained to the area of a single pixel, and every sample was equally weighted. Of course, for some scenes this simple Box filtering is not good enough. In the video, we magnified a detail of such a scene to show the problem. Look at the dark vertical gap between the doors of the cupboard; it looks staggered even with many anti-aliasing samples. We added new filters to improve this. Anti-aliasing now samples in larger area than only a single pixel, and the samples are weighted according to a filter curve. In the video, we switch to a special Gauss filter curve with a sampling area of 3 pixels diameter, and you should see that the lines look much better now. Other available filter curves are ‘Triangle’ and ‘Gauss’. For complex scenes, memory consumption is always a concern. 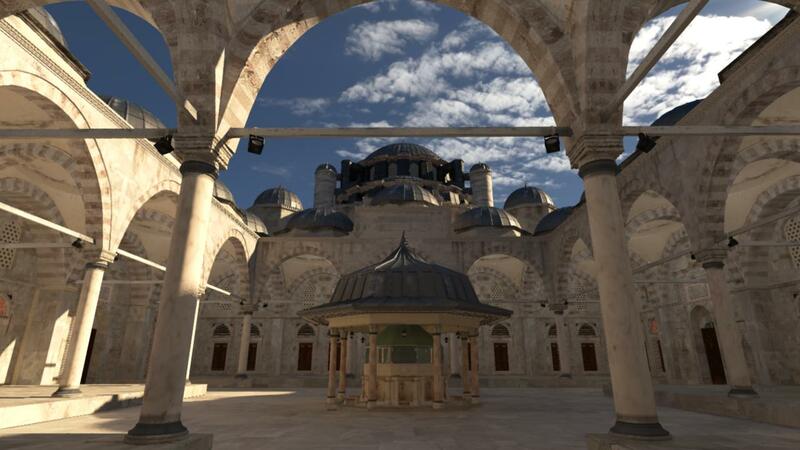 The model shown in the video has 21 million triangles, using about 3 GBytes of GPU memory. 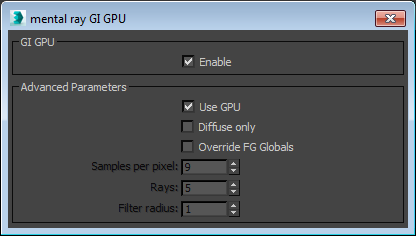 If we want to render more objects, then we might lose GPU acceleration, because additional models do not fit anymore into GPU memory. The current AO GPU solution will switch to CPU rendering automatically, but rendering will take much longer. If the additional objects consist of the same model, then the model can be reused in the rendering without taking much more memory. 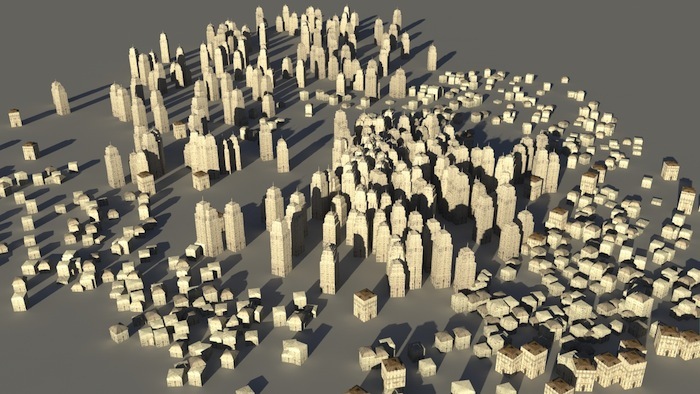 This model-replication technique is called instancing. We implemented instancing in the AO GPU prototype to see how far we can get with this technique on a GPU. As the video shows, a million replicas are no problem. We hope you enjoyed reading this post and watching the video.